The word "carnivore" comes from the Latin roots caro (meat) and vorare (to devour), and means "flesh eater." Notice that this word does not include any specification of amount. It does not refer only to exclusive carnivores. Logically speaking, any animal that eats any amount of flesh is a flesh-eater, i.e. a carnivore. Since every omnivore eats both plant and animal matter, it logically follows that all omnivores are carnivores. An omnivore diet is a carnivore diet. Hypocarnivore: no more than 30% of diet consists of animal matter. Mesocarnivore: 50-70% of diet consists of animal matter. Hypercarnivore: More than 70% of diet consists of animal matter. 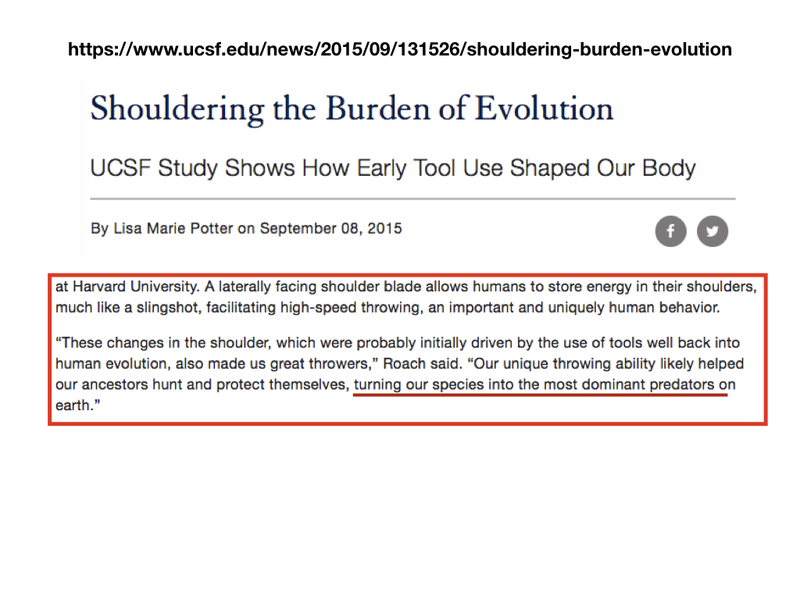 The use of the unqualified word "carnivore" to designate a diet that completely excludes plants and only includes animal matter is inconsistent with both the lexical (common) and scientific meanings of the word. 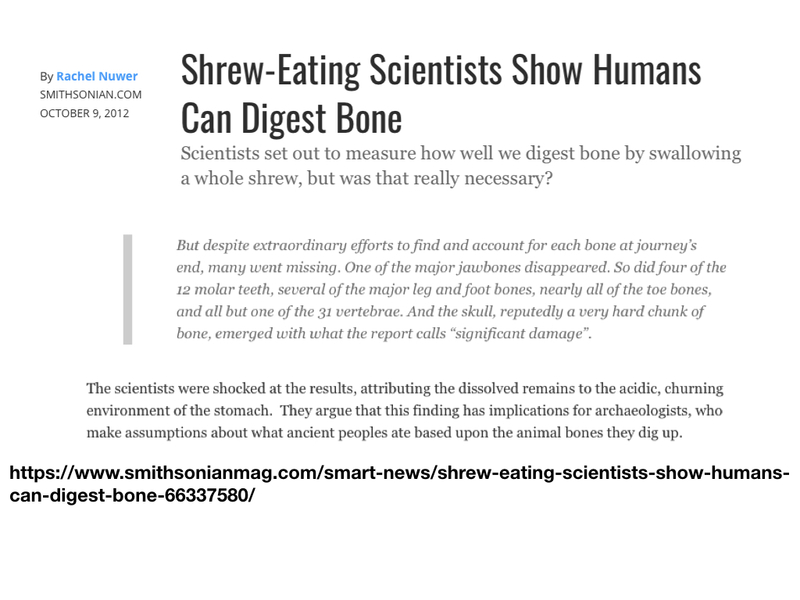 Without a doubt, humans are carnivores. This is a simple matter of fact: humans eat meat. The question is, are we by Nature hypocarnivores, mesocarnivores, or apex predators, also known as hypercarnivores? 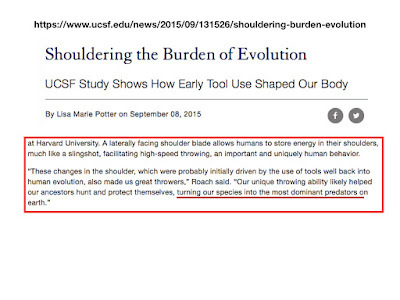 Again, as a simple matter of fact, humans are the most dominant predators on Earth. We can and do hunt every other type of animal, including other carnivores (although not necessarily for food). Such behavior would be extremely odd to find in an animal not by Nature highly adapted to hunting and meat-eating. Its virtually inconceivable that an animal adapted to an exclusive plant-based diet or only opportunistic consumption of animal matter would have the ability to successfully hunt every other type of animal on the planet. 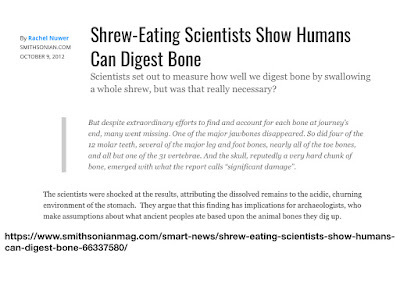 Humans have eaten a carnivore diet for a very long time. 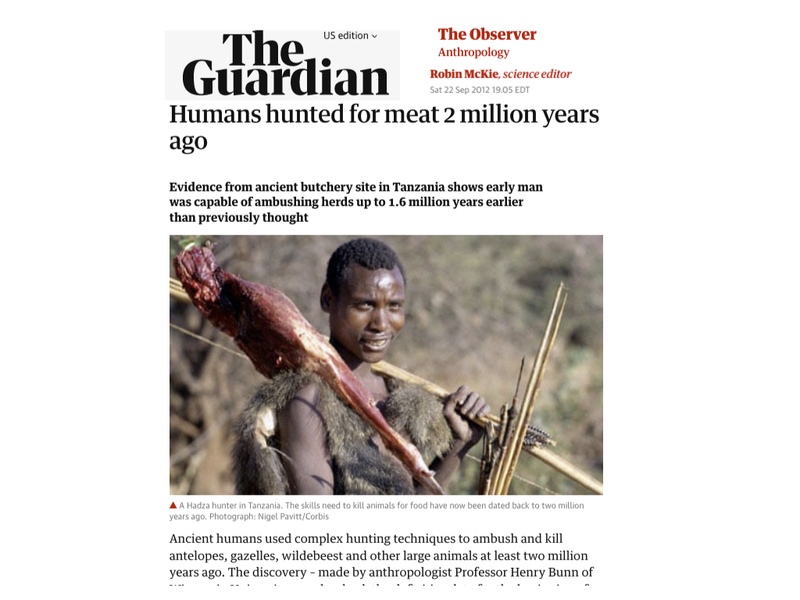 Humans have been eating meat obtained by hunting very large animals using ambush predation for at least 2.5 million years. Our stomach acidity is well-adapted to a carnivore diet, being equal or greater to that of any other apex predator. In The Hypercarnivore Diet I discuss the large body of evidence indicating that humans are by Nature adapted to a hypercarnivorous carnivore diet. But that does not mean that all humans are by Nature adapted to only an exclusive carnivore diet. The different human races evolved in widely different environments, just as black bears and white (polar) bears evolved in different ecosystems. Due to human biological diversity, I am reluctant to assert that all humans will have the best health, function and fitness on an exclusive carnivore diet. The Hypercarnivore Diet differs from what people are calling "the carnivore diet" – which I believe should be called the "exclusive carnivore diet" – in recognizing the limits of our understanding in this area. The Hypercarnivore Diet recommends consuming a diet that is more than 70% animal matter, and includes an exclusive animal matter diet as a possibility, but does not require 100% animal matter. Plants are not necessarily excluded, nor are they considered necessary, but are optional. I encourage the individual to determine how much plant matter, and which types of plant matter, if any, he or she can tolerate or benefit from, by following Nature as it guides one through hunger, appetite, taste, satisfaction and other directly experienced responses to elimination or inclusion of specific plant foods. 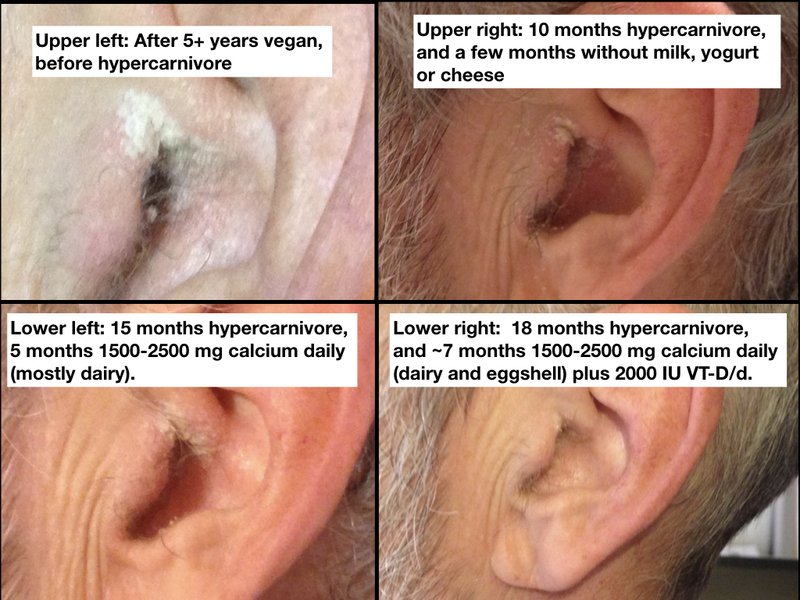 By adopting a minimally 95% animal based diet with intermittent inclusion of plants I have healed a skin condition I have suffered with for more than 40 years. 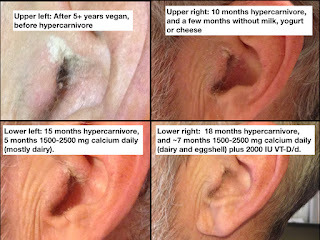 I tried to heal this condition using various whole foods plant based diets – including vegan whole foods plant based diets – for more than 40 years, with no success. Your sweet spot may vary from mine. I have some Instagram followers who at the moment appear to be doing very well on hypercarnivore diets that include more plants than I can tolerate or find beneficial. The Hypercarnivore Diet is a carnivore diet but not "the carnivore diet."